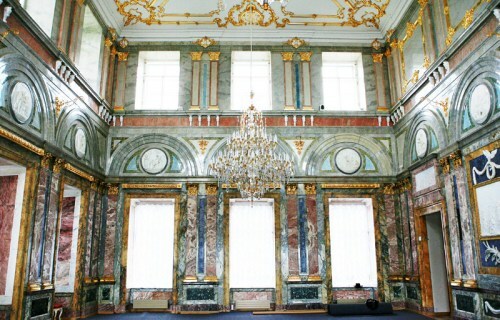 The palace derives its name from its rich decoration in a wide variety of multi-colored marbles. 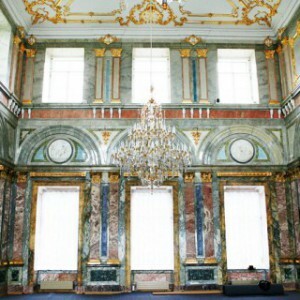 The Marble Palace is a unique architectural monument of the second half of the 18th century. It houses a fine collection of art including European art and Modern art. There are two permanent exhibitions.’Foreign Artists in Russia’ looks at the foreign masters whose work influenced Russian art in the eighteenth and first half of the nineteenth centuries; and ‘Peter Ludvig in the Russian Museum’ is a private collection of Russian and Western art 1949 – 1989. The other halls of the museum are used to organise temporary exhibitions of modern art from all over the world.